Safely store up to 100 used blades for disposal. Discard when full. A fresh approach to traditional standards, the PELCO easiSlicer™ brings precision vibratory tissue slicing to labs of all sizes. Solid construction and exceptional stability provides exacting control of section thickness with minimal z-axis vibration. 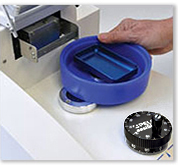 Simple, effective, manual design makes the PELCO easiSlicer™ perfect for multi-user and multi-application labs. The PELCO easiSlicer™ introduces the new standard in vibratory slicing. It combines ease of operation, precise engineering and affordable pricing in a high quality instrument. The PELCO easiSlicer™ uses rigid construction and advanced engineering technologies to essentially eliminate backlash resulting in minimal Z-axis vibration normally associated with more expensive vibratory slicers. All operational controls are located on the front of the instrument, clearly labeled and sealed against moisture. 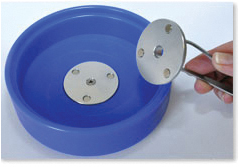 The specimen tray is held securely in the polypropylene bath by a set of strong magnets. The bath is attached from the side with a unique spring-loaded base that locks onto the PELCO easiSlicer™ by simple pressure. The integrated bath and tray design allows them to move as a unit for sectioning thickness or height adjustment. The bath and tray can be easily separated for simple and fast clean-up, eliminating the risk of leaks and a cumbersome drain or hose. The amplitude and speed controls are conveniently mounted in the center of the control panel for ease of operation. The sturdy, removable blade holder is offered in 3 angles: fifteen, eighteen and twenty-one degrees to provide choice for each individual application. This eliminates the need to calibrate the blade angle. The specialized design of the blade holder provides a secure and rigid grasp of the cutting blade. 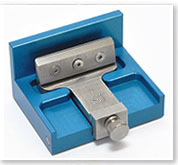 This stability of design removes the weakening or bending of parts as seen in a spring clamp design. 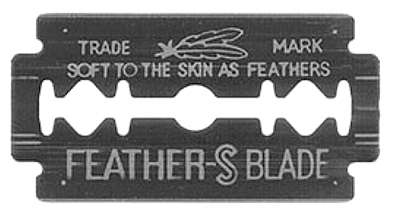 Feather® Blades are recommended but the blade holder will accommodate other types of blades. The Sectioning Window Controls guide the user for precise cutting window control with indicator lights on the control panel to maintain consistency of placement. 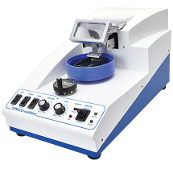 The Magnifier and Light Assembly offers bright white LED lighting (no risk of high temperatures) with high or low settings, depending on the user’s need. The Magnifier can be moved out of the viewing path, if desired. The entire assembly operates smoothly on metal slides. The large Section Thickness Knob is centrally located in the work area. The knob is labeled in microns and has a perceptible detent every 5 microns. One complete revolution of the knob is 100 microns. 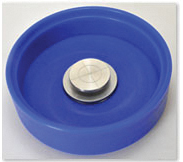 The entire bath and tray assembly is raised and lowered by this Section Thickness Knob. The PELCO easiSlicer™ has a Return Switch that provides the user with an option for Auto Return after each slice. In the Manual Return mode, the cutting will cease once the end of the section window has been reached. This allows the retraction of the specimen before the return of the blade in order to prevent damage to the specimen. 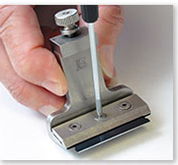 The PELCO easiSlicer™ comes equipped with tools and supplies to start cutting quality, consistent sections, right out of the box. Novel bath design utilizes unique easy-locking base for secure and simple attachment; no risk of fluid leaking into the instrument. 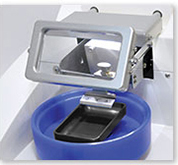 Magnifier/LED light assembly avoids risk of high temperature, offers 2X magnification and convenient, smooth operation. Removable blade holder with innovative tooling for secure and rigid hold of Feather® blades at 15º angle. Convenient Blade Holder Rest (11030) facilitates easy blade exchange. into bath in place of specimen tray as shown. 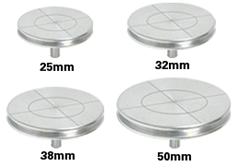 Four sizes of engraved tissue mounts available. All operational controls are located on the front of the PELCO easiSlicer™, clearly labeled and sealed against moisture. Easily visible LED lights indicate active vibratory status, an exclusive safety feature, and cutting window boundaries.